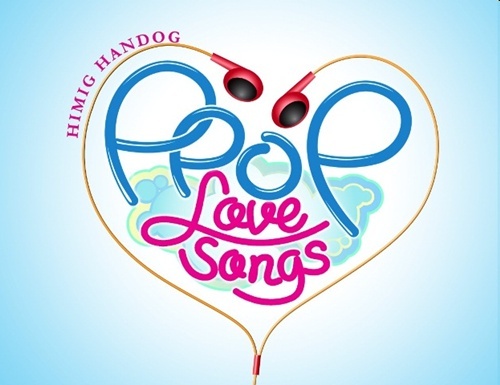 MUSIC: 2013 Himig Handog P-POP LoveSongs! The music videos will be first aired on “Himig Handog Pinoy MYX special” on MYX SkyCable channel 23 this Friday (February 1) at 6pm. Just like its previous runs, “Himig Handog” will be giving away special awards aside from the grand prize. 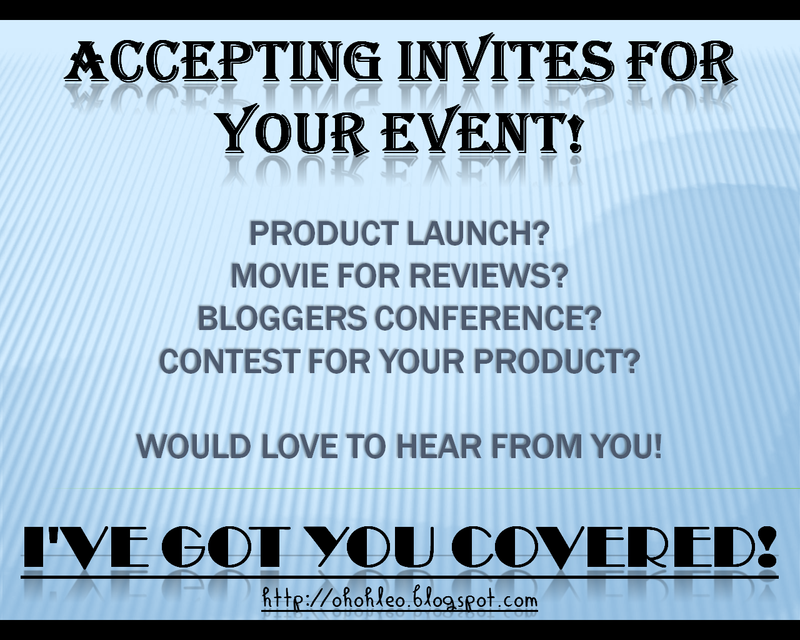 Fans will have the power to choose the winners in various special awards categories. 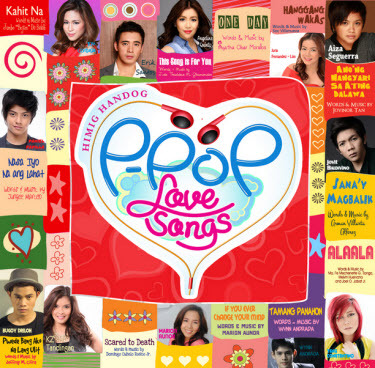 For the Star Records Buyer’s Choice, simply purchase a copy of “Himig Handog P-Pop Love Songs CD” at leading record bars and fill-up the voting cards or download your favorite songs via http://www.apple.com/itunes. For the Tambayan’s Choice and MOR’s Choice, tune in to Tambayan 101.9 and MOR stations Nationwide and request for your choice love songs in the CD. 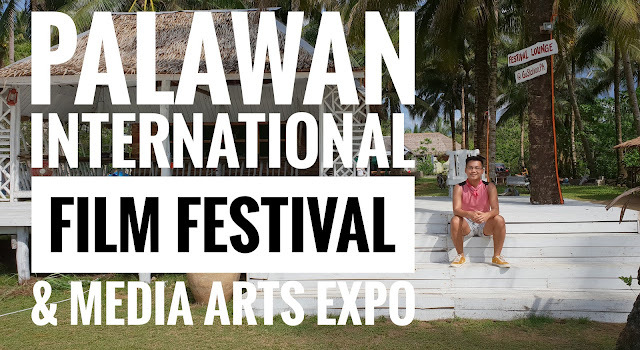 For the TFC’s Choice, Kapamilyas abroad can vote online through http://www.tfc.tv. While for the MYX Choice for Best Video, Support the music videos by requesting through MYX or register at www.myxph.com and choose your favorite “Himig Handog” music video. The deadline of voting for MYX Choice for Best Video is on February 23 (Saturday) at 12noon. 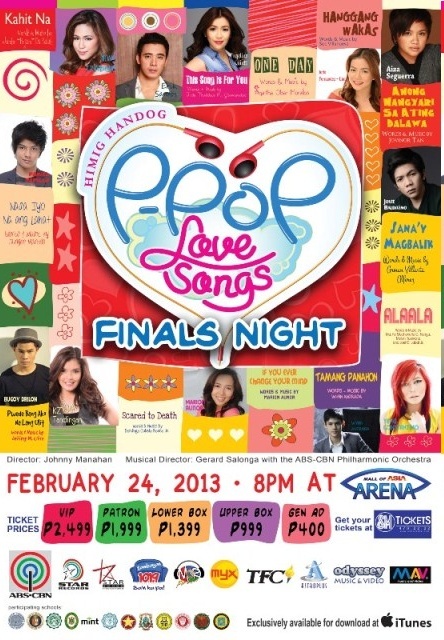 “Himig Handog P-Pop Love Songs” grand finals will happen on February 24 (Sunday) at the Mall Of Asia Arena in Pasay City and will be aired live on ABS-CBN channel 2. NEWS: 2013 Oscar winners announced! TECH: Nokia Lumia 620, 820 and 920. 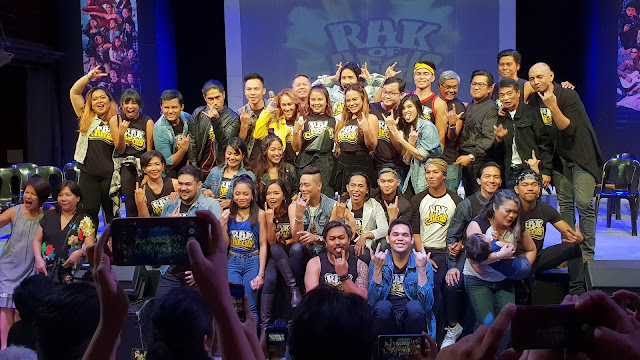 NEWS: Fil-Ams in American Idol Season 12!